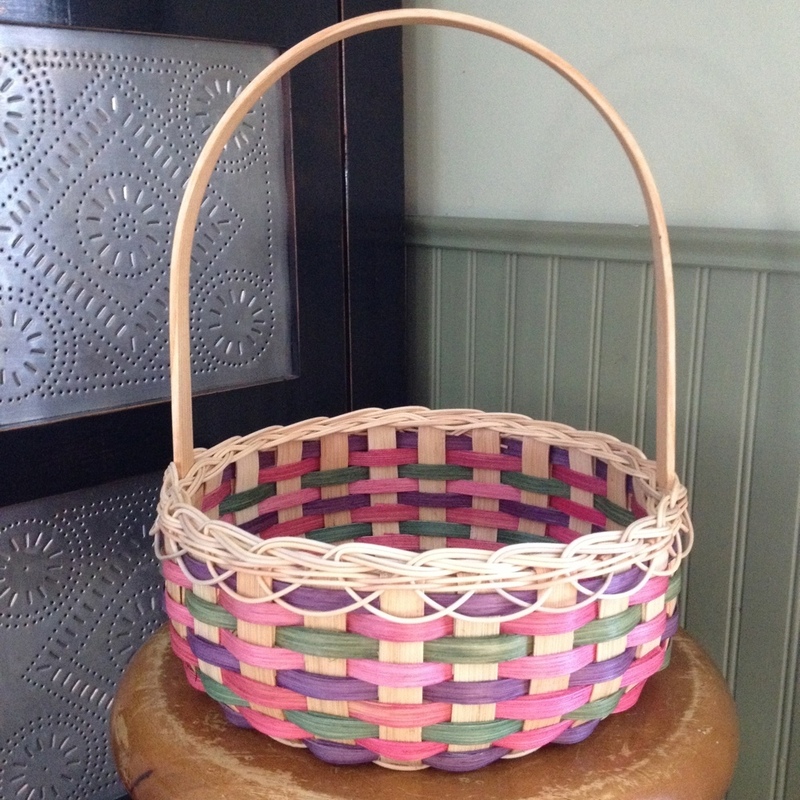 Our Curlicue Easter Basket can be woven in lavender and green, mauve and green, or sky blue and green. It is then heavily “antiqued”. 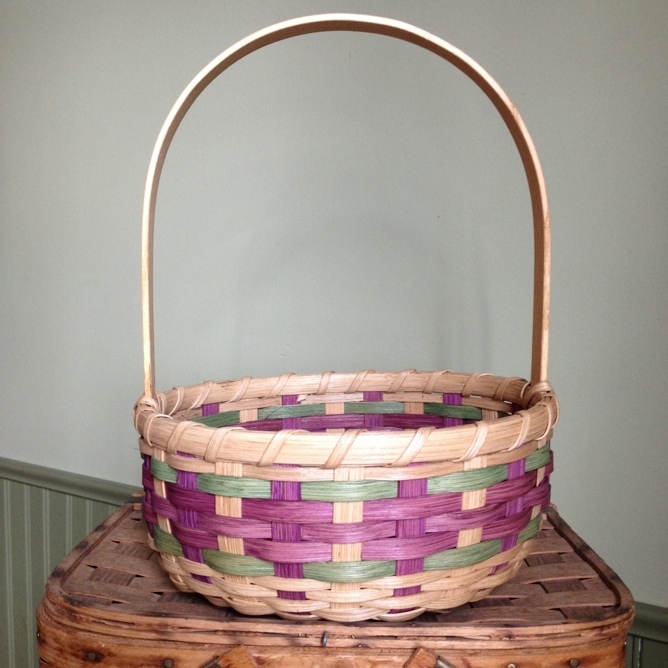 It is a great basket for collecting up all of those sweet treats the Easter Bunny leaves behind. 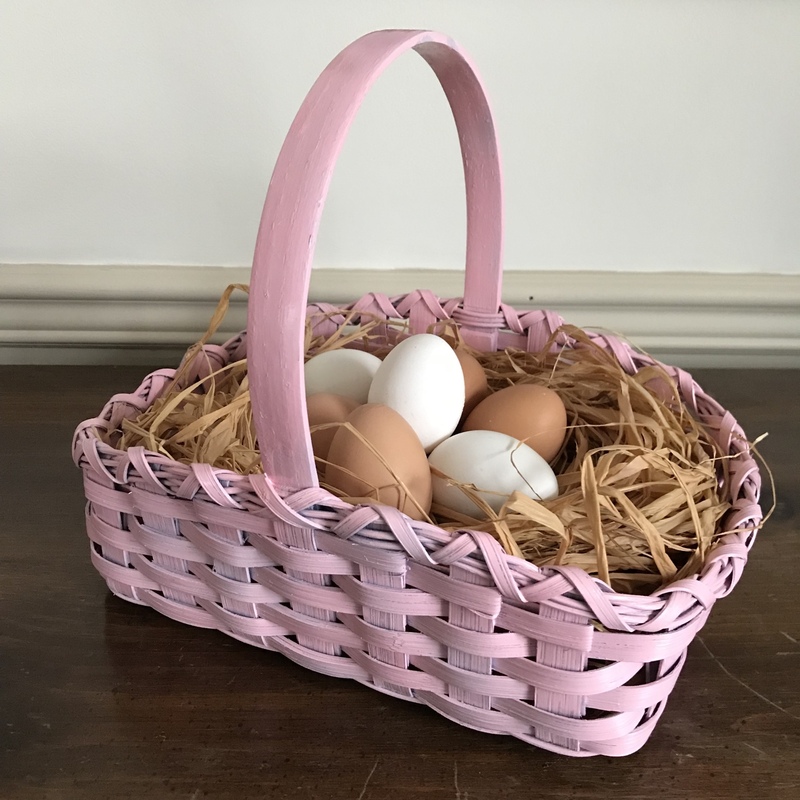 It’s not too soon to start making Easter baskets and so this month’s pattern is for the Victorian Easter Basket. 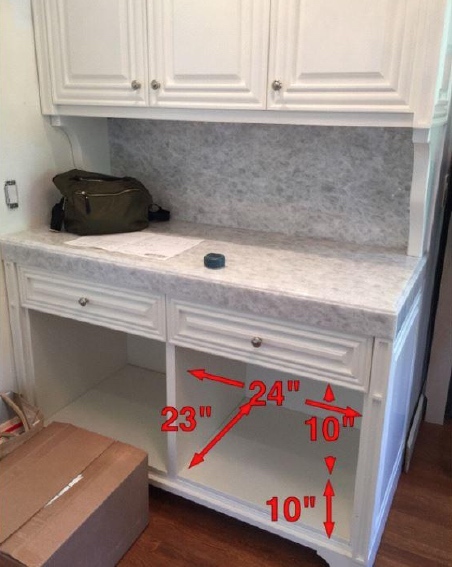 Every so often, we get emails from people who have no idea what to do with that awkward, triangle built-in cabinet space. How to prevent a cluttered look? 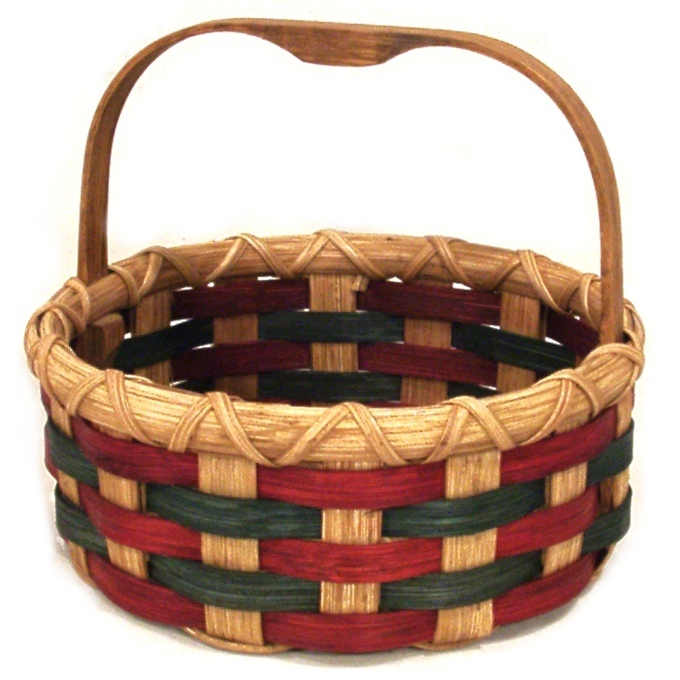 A triangle basket, of course! 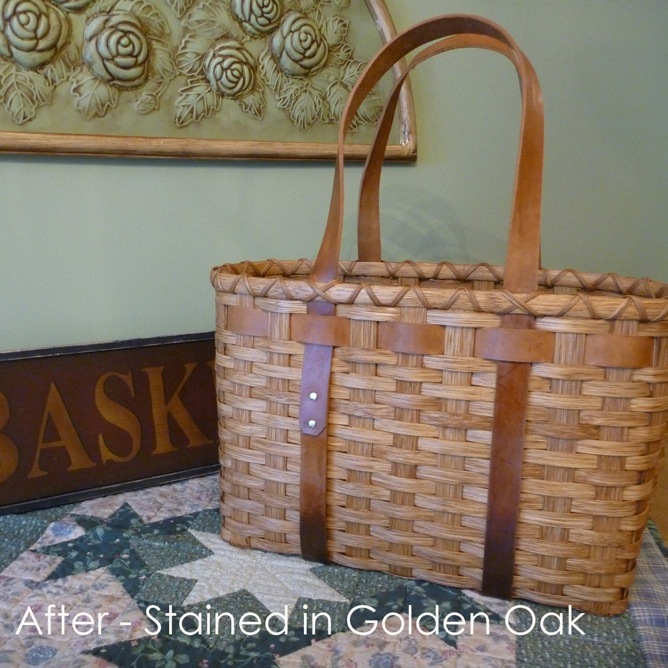 Designed to be used by an avid woodworker, this Wood Carver’s Tool Tote is both attractive and functional. 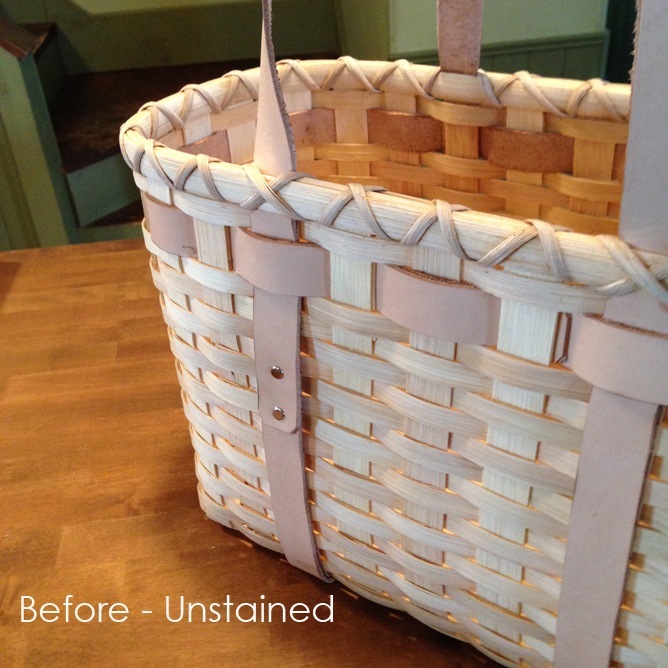 Whether you utilize it to transport carving tools or not is up to you; the options are endless for a versatile tote like this! There is always a lot of stuff that must be kept close at hand yet out of sight ... tape, scissors, rulers, scratch paper & pens. 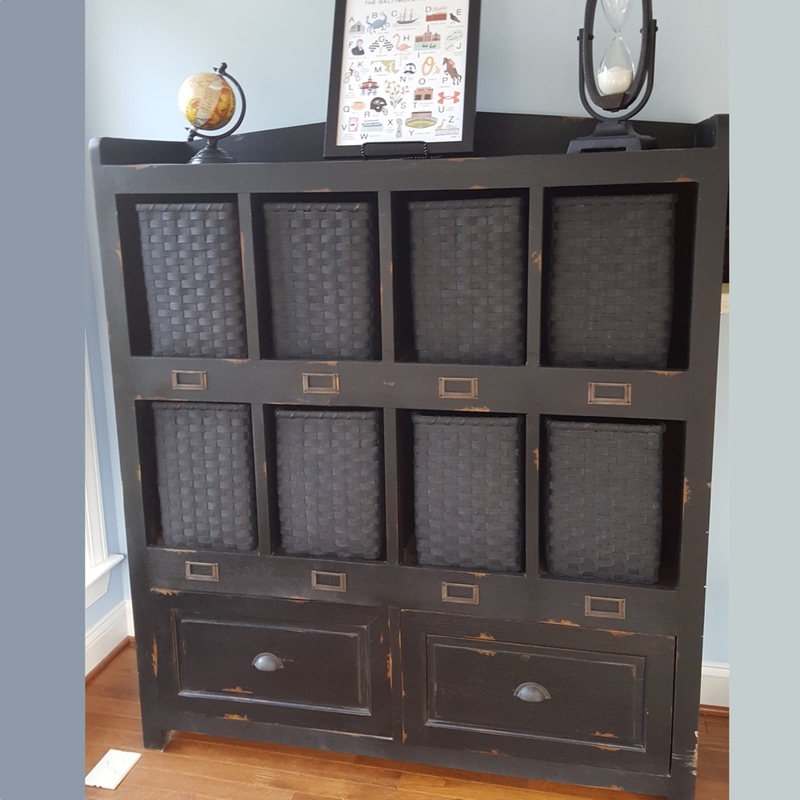 How can that be accomplished and still preserve your great room’s primitive decor? 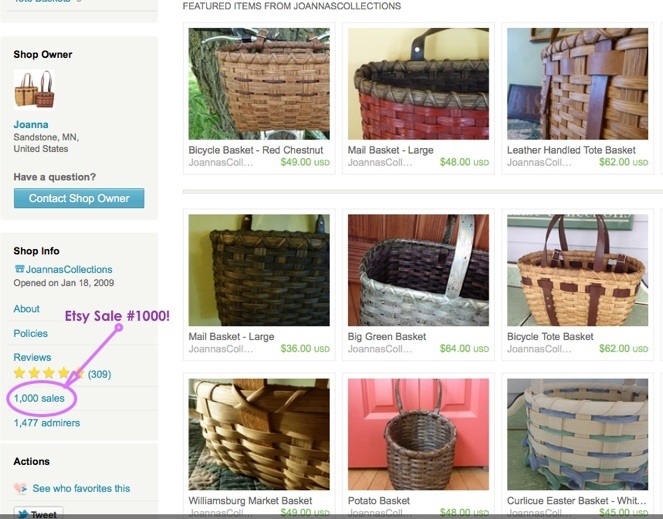 The answer is our Shelf Basket! 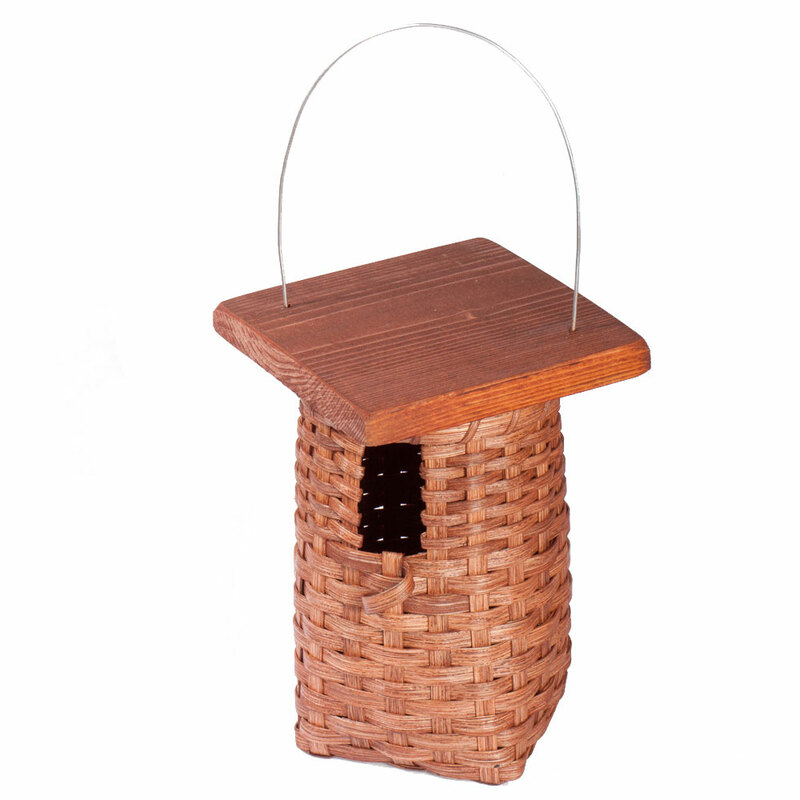 Whether used out of doors as a home for a little wren family or placed inside as a decorative conversation piece, the Birdhouse Basket is sure to be enjoyed by all. 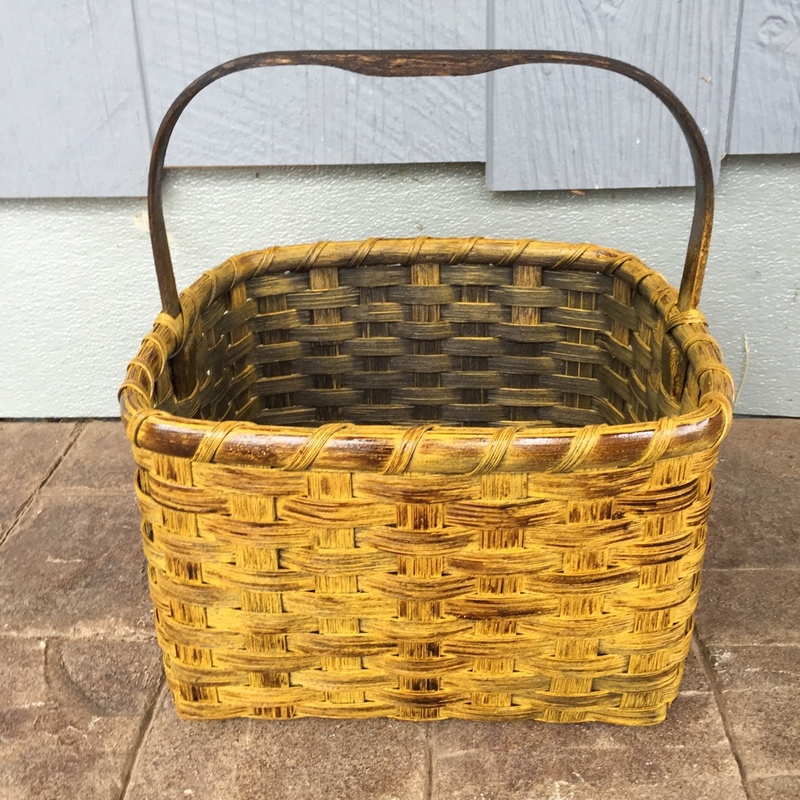 The Painted Primitive Front Porch Basket would look great hanging just about anywhere in your primitive or country home. 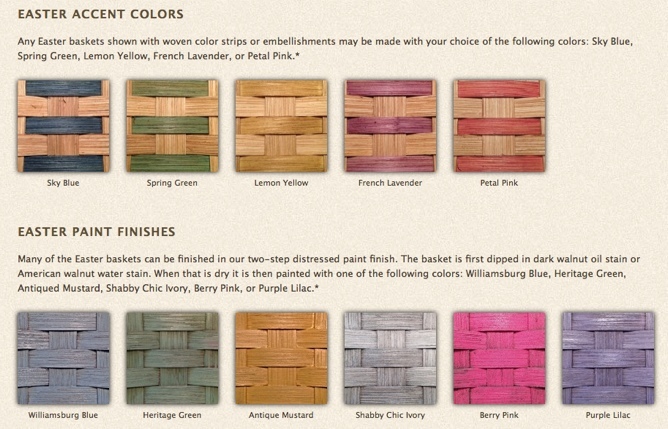 It is finished in a three-step painting technique that can be done to match your home’s decor. Every country home’s fireplace needs a Primitive Hearth Basket to hold kindling…or newspapers, magazines, or even knitting. 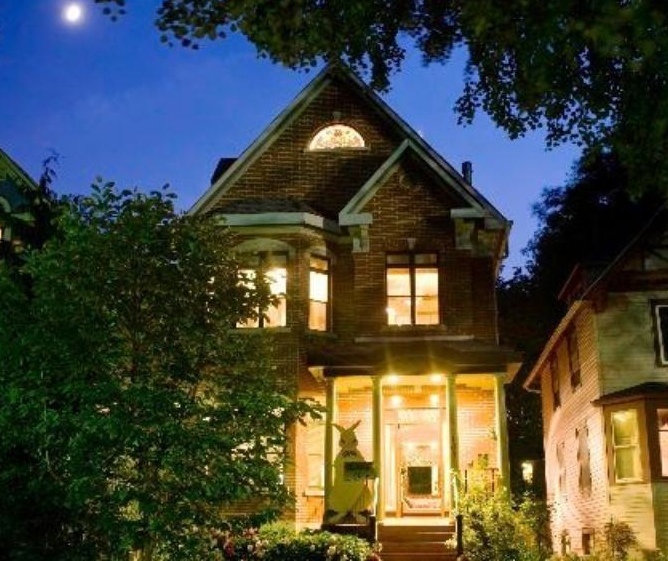 As we hit mid-winter in Minnesota, projects that remind us of warmth are always appreciated! Everyone eats, everyone spills, so everyone needs napkins and a Napkin Basket. 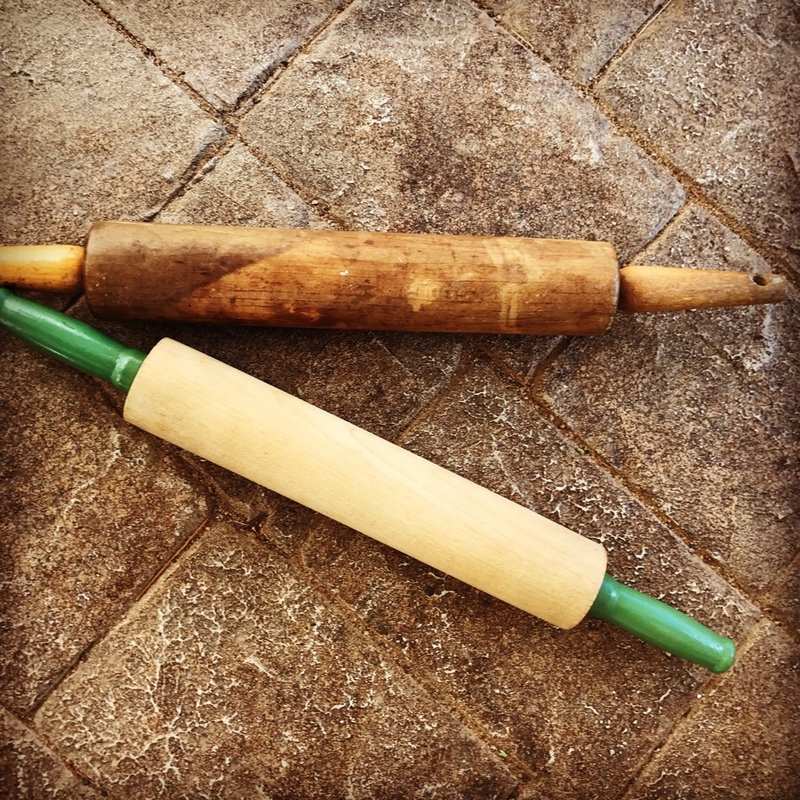 This one measures 7” x 7” x 3” and has two curved reed handles. And what a perfect basket to make for this gift-giving season. 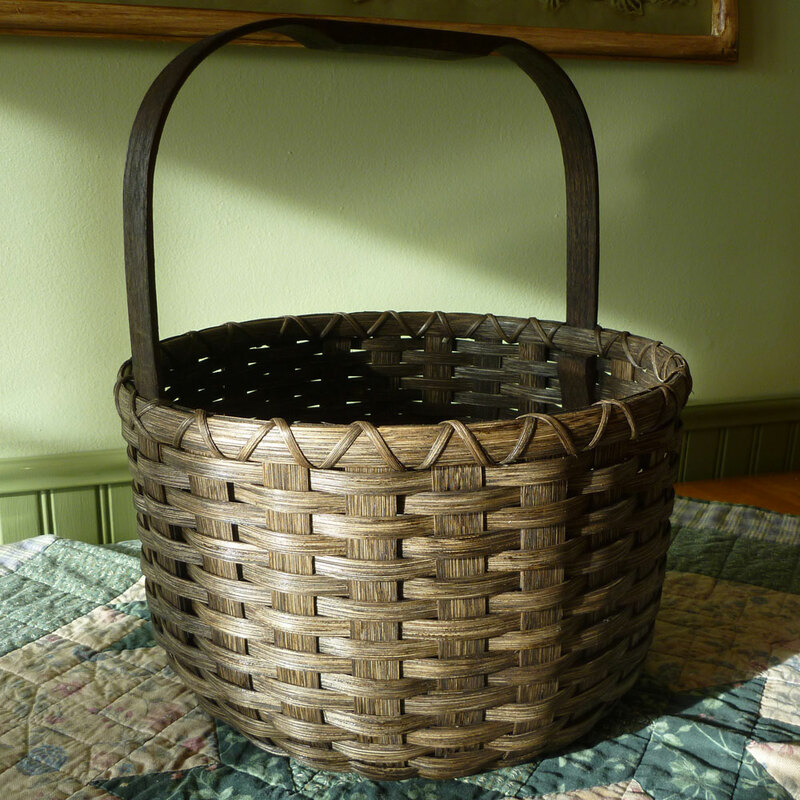 The Bean Pot Basket design comes from a reproduction of an old basket that was made in Pennsylvania of rye straw. Particularly nice hanging by its wire handle, it can decorate a hearth or tabletop as well. 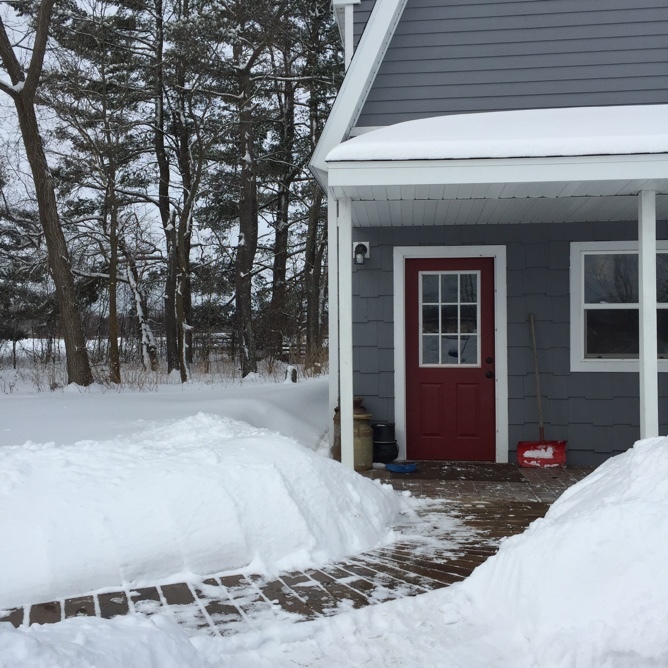 Here in Northern Minnesota, we take advantage of the warm days as thoroughly as possible. 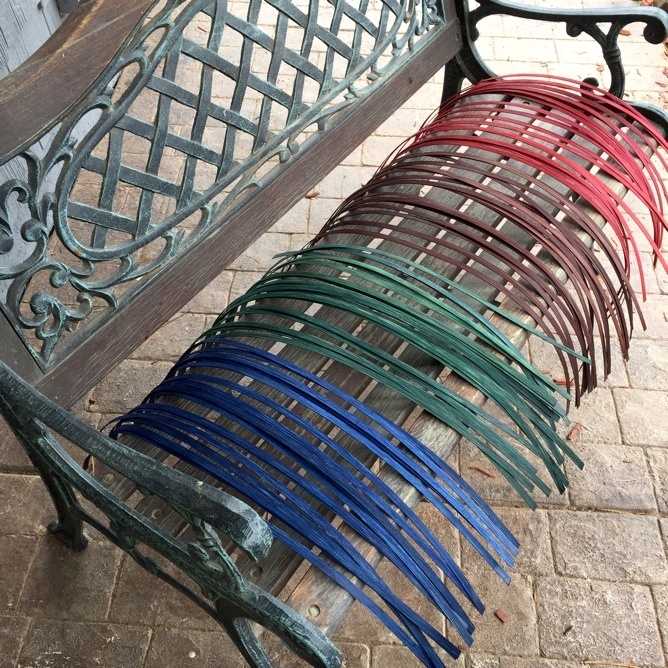 The bench on the front porch serves many purposes - today’s includes acting as the drying rack for some of the dyed weavers. We’ll dry those pieces out in the sun until it’s too cold to work! 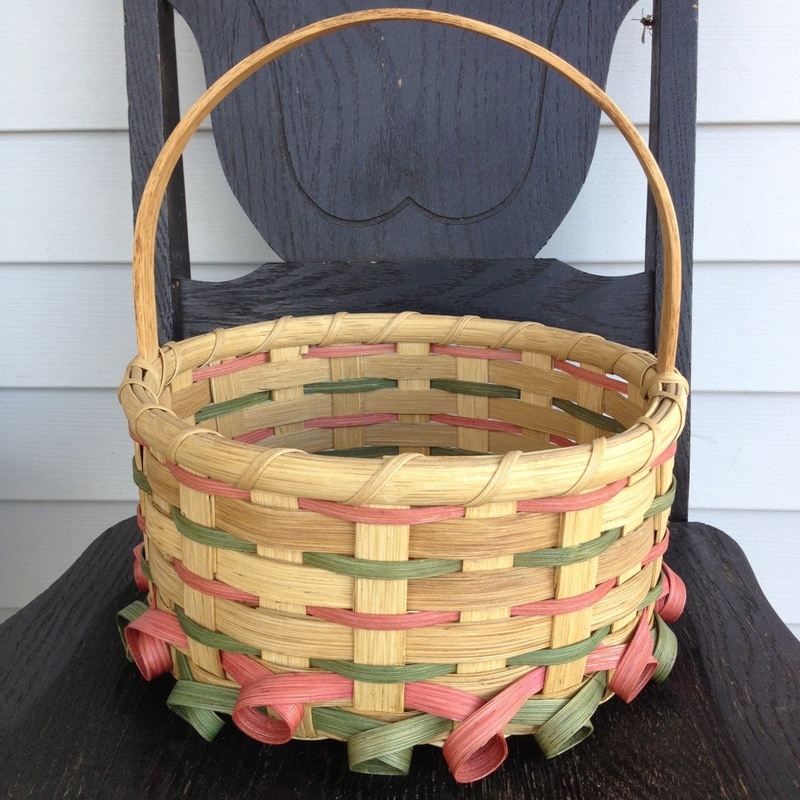 Any level of weaver will enjoy this project, so click on this link to purchase the Big Round Basket pattern. 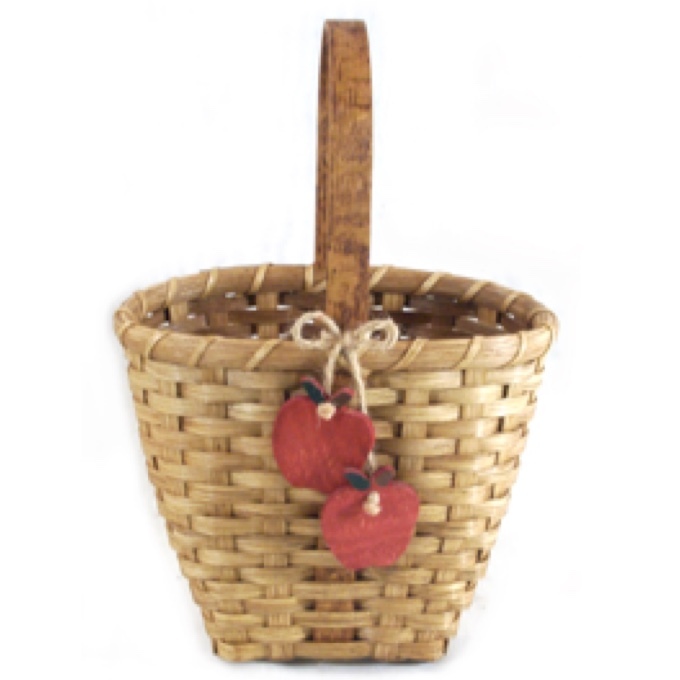 The Plaid Tote Basket is another option for those who wish to carry something other than a regular purse. 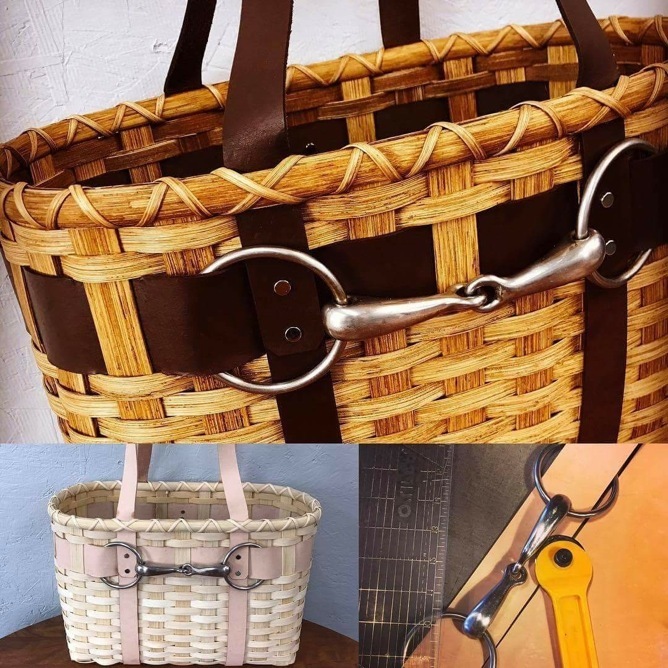 It is sturdy in design with a filled base so as to completely contain its contents, and the eye-catching pattern can be woven in any color you’d like. Over the years we’ve been in business, we’ve received many requests for custom designs in our shop. 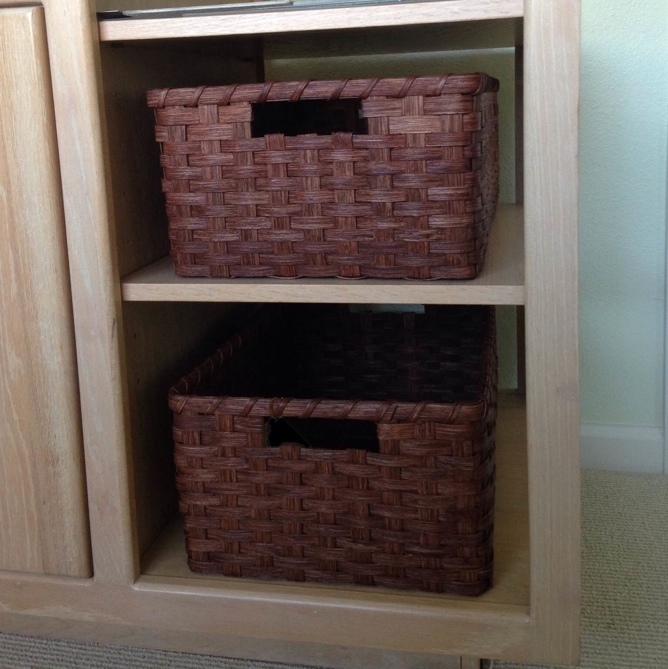 Many times, customers send images like this one to begin the process of creating the exact baskets needed to fit their storage spaces. 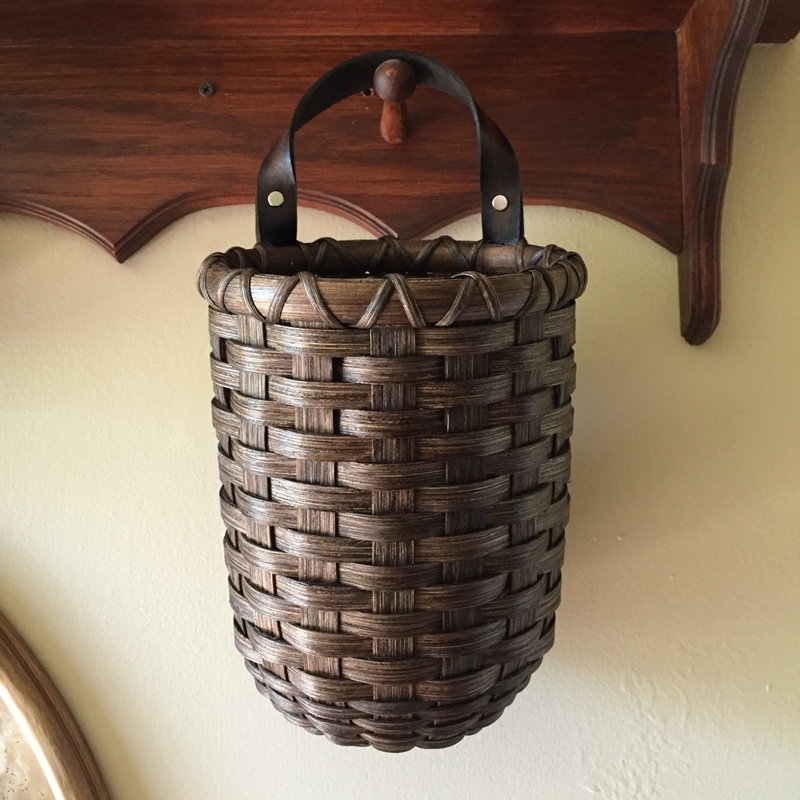 This basket was designed to hang on a Colonial home’s front door ~ the owner was tired of letters dropping through the mail slot onto the floor! 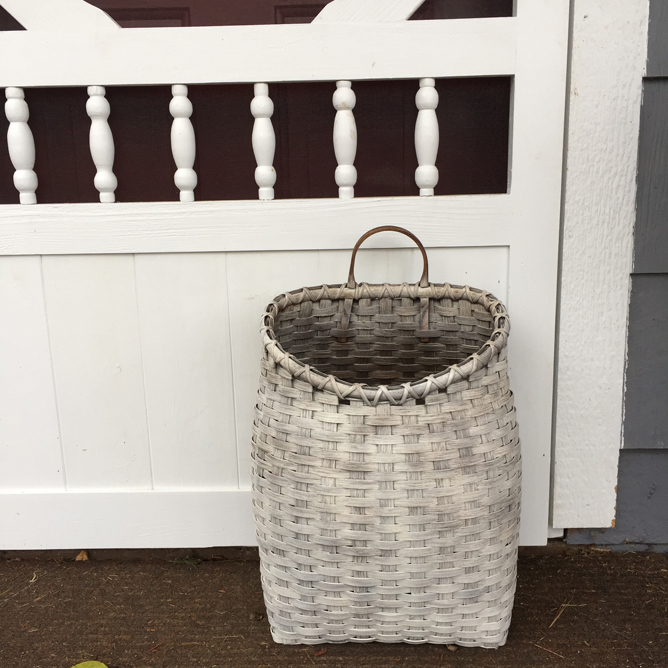 The Large Painted Mail Basket adds primitive charm to the menial task of containing envelopes, post cards and magazines. Are you in need of a unique gift for someone? 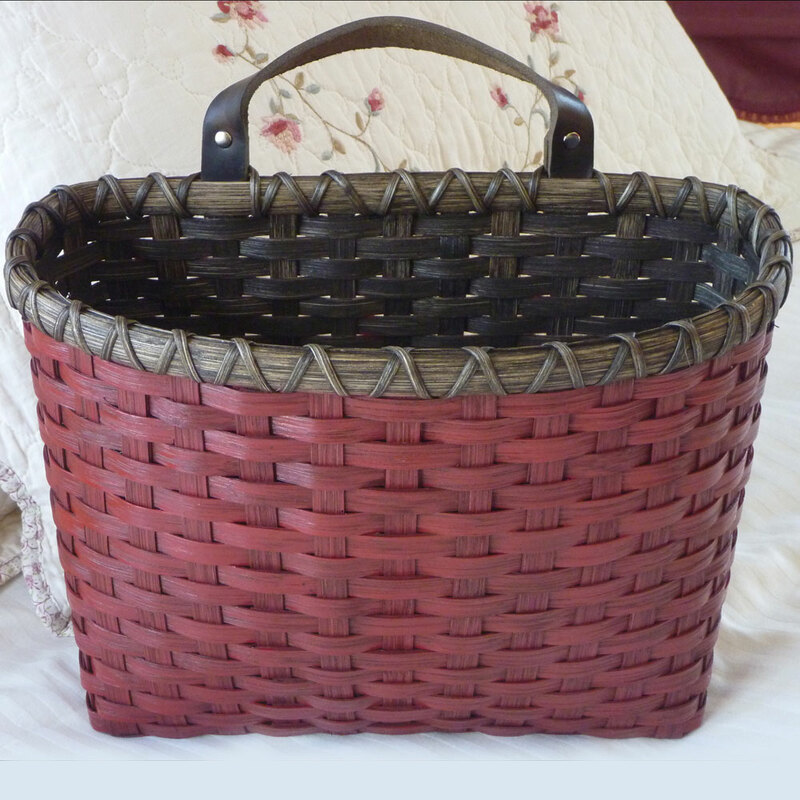 This small basket can be filled with rolled wash clothes & handmade soaps or cappuccino mixes & a coffee mug. 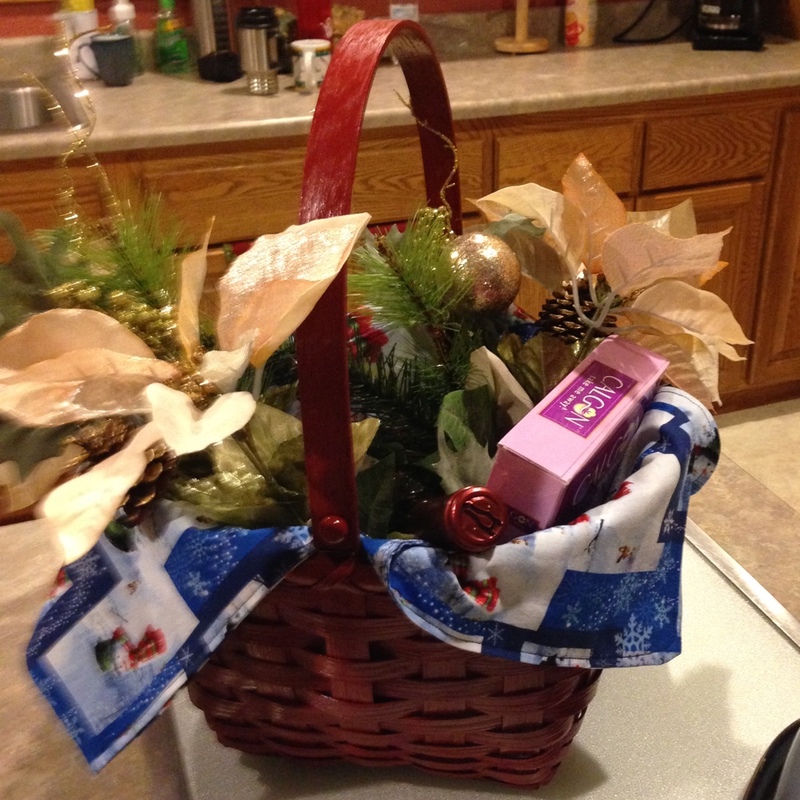 Perfect ... the Swing Handled Gift Basket. 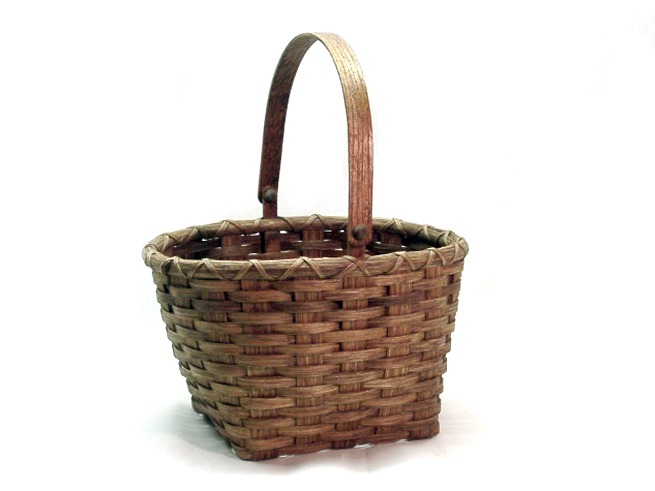 The Square Market Basket was designed as an antique reproduction from days gone-by. 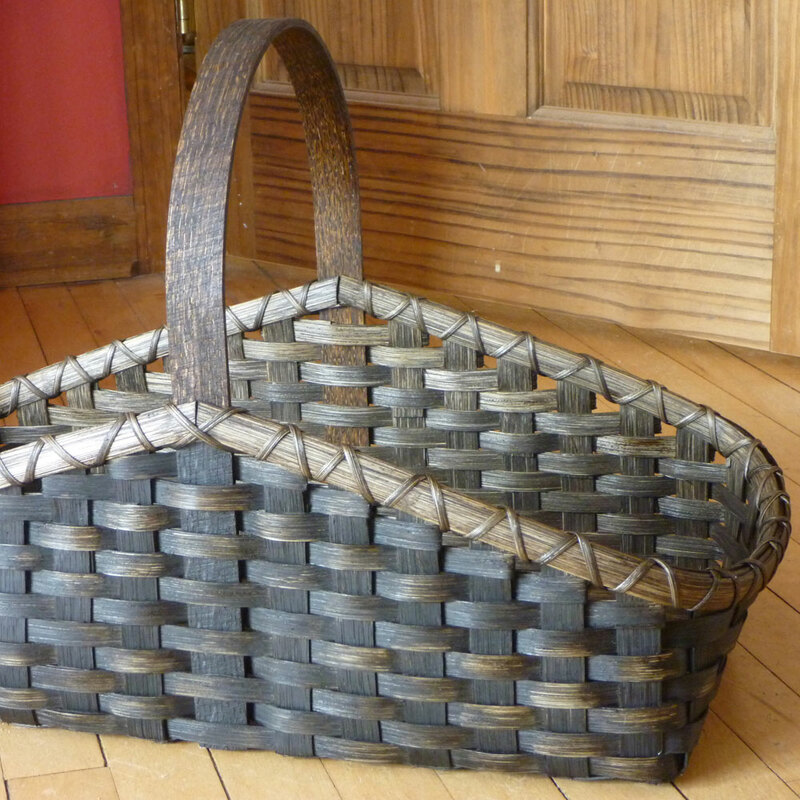 As long as there have been goods to transport, market baskets have been woven to carry things. 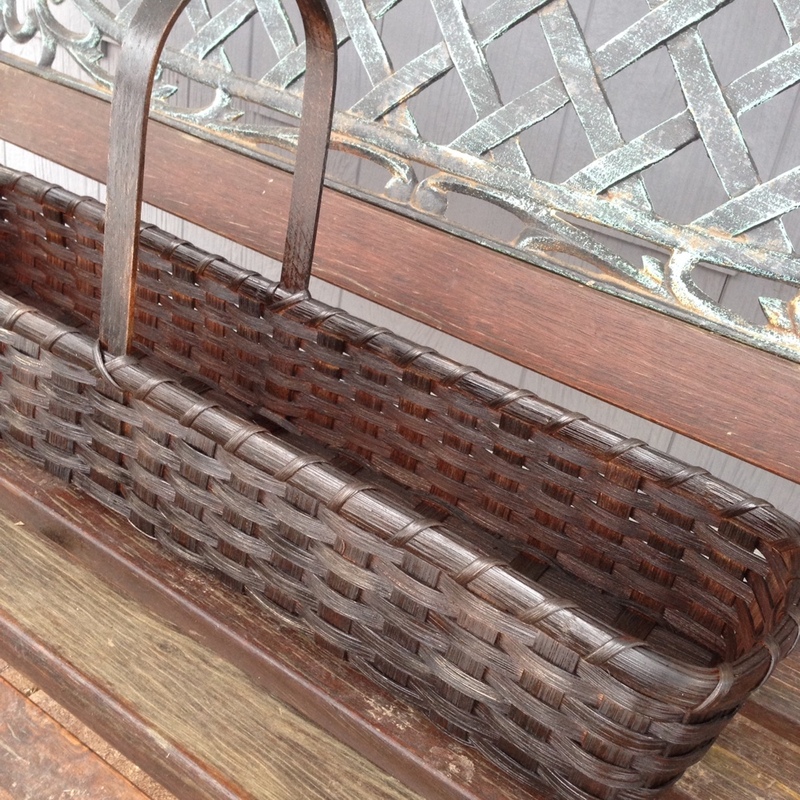 Our Square Market Basket reminds us of those olden days. In olden days, a “keeping room” was the center of a colonial home. It was warmed by the fireplace and most of life’s activity took place in that small room. 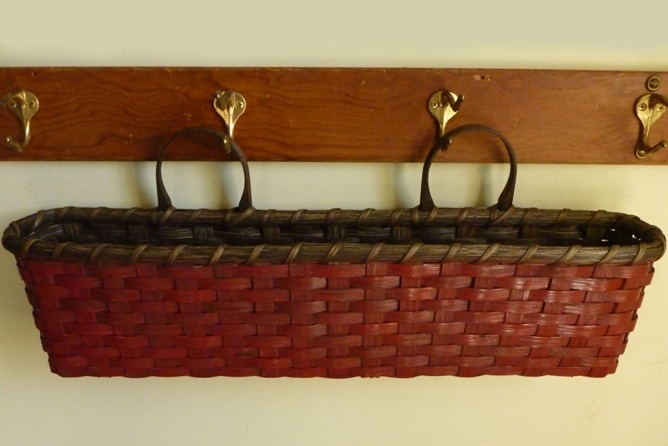 Baskets were woven and hung on pegs or placed on shelves to keep much of the necessary clutter handy yet out of sight. 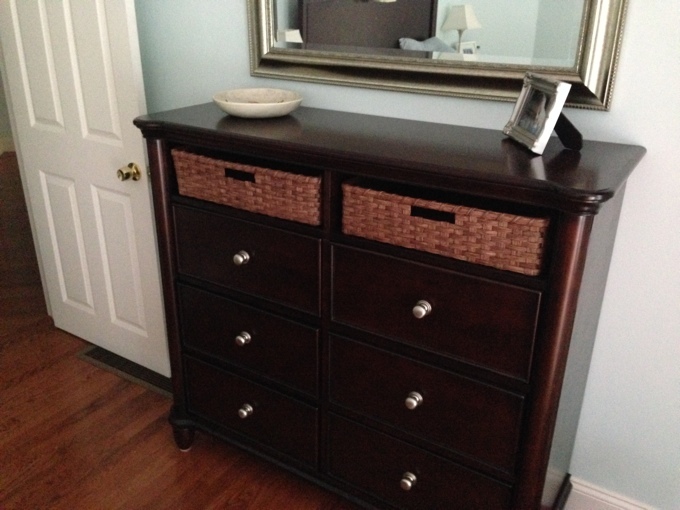 What an honor to have our custom-sized Storage Baskets as part of this beautiful piece of furniture. 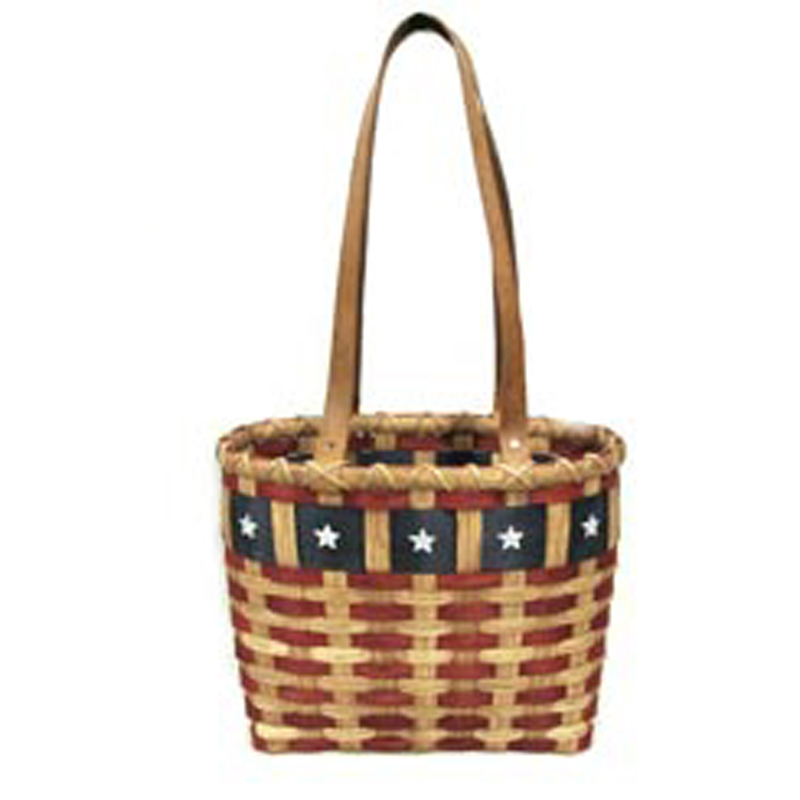 Our Americana Patriot Tote Basket displays pride in this great country. 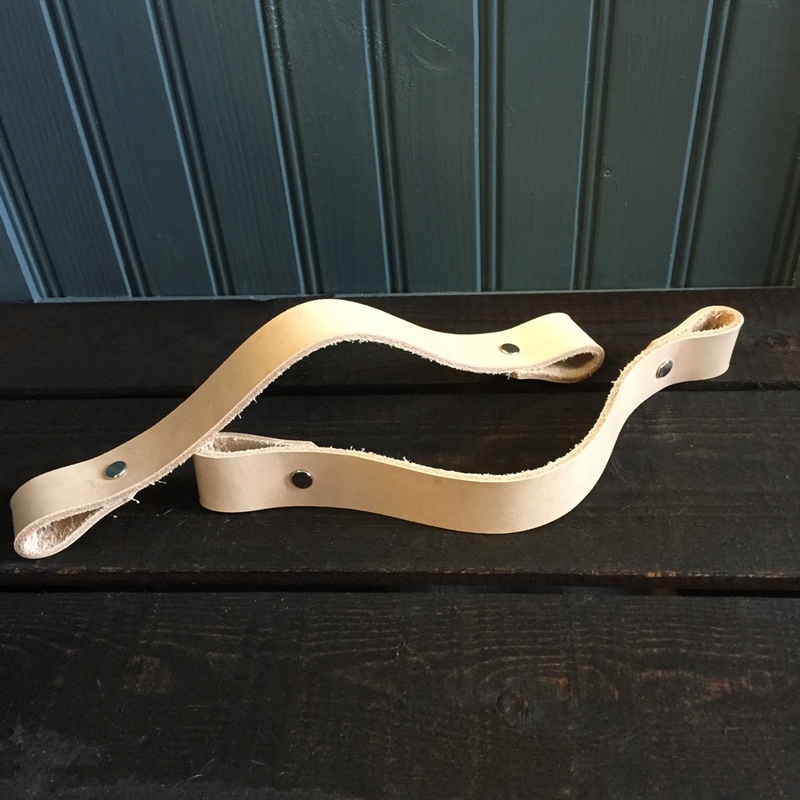 The base measures 3” x 10” with 10” sides and leather strapping handles. 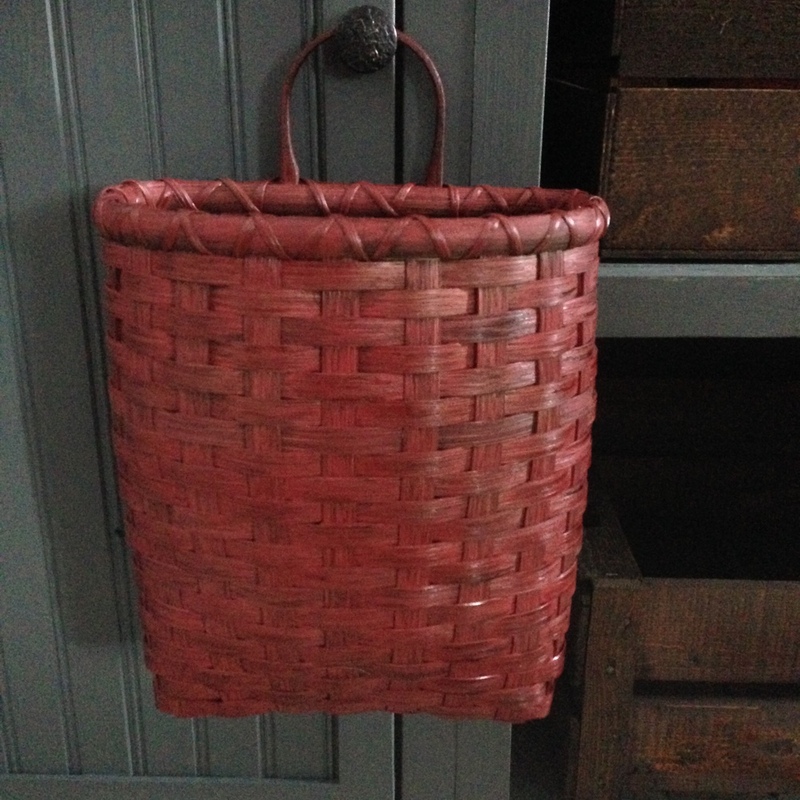 Our Large Peg Basket is an antique reproduction of a piece originally found in a restored Colonial home ... used to keep life’s necessary clutter out of the way yet close at hand. Most everyone still receives snail mail ... even if just bills & advertisements. 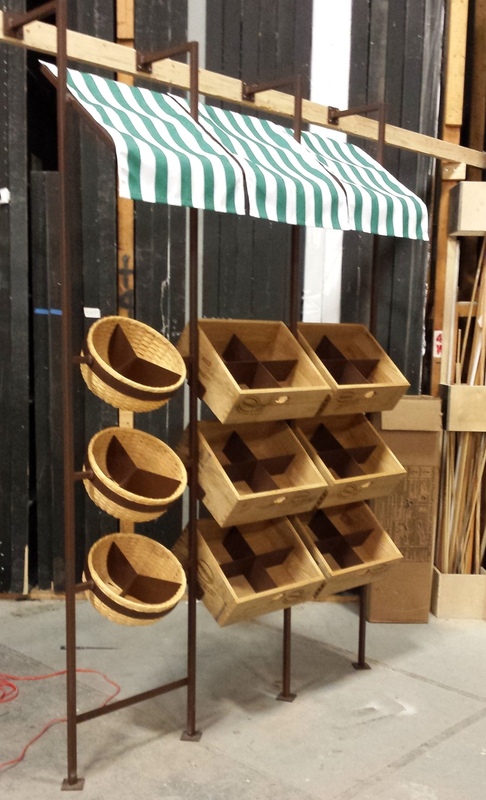 So we make Mail Baskets, in three different sizes. 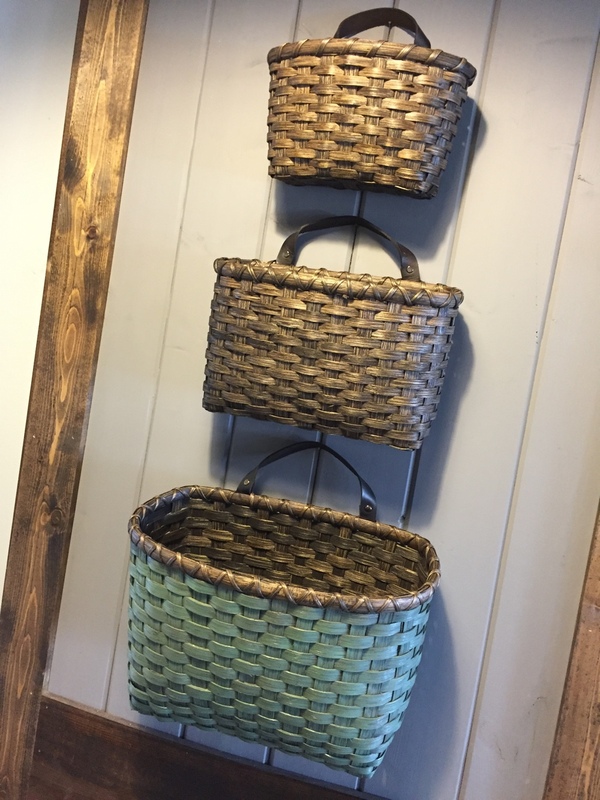 Pictured here is a Medium Mail Basket (top), a Large Mail Basket (middle), and a Painted Mail Basket (bottom). 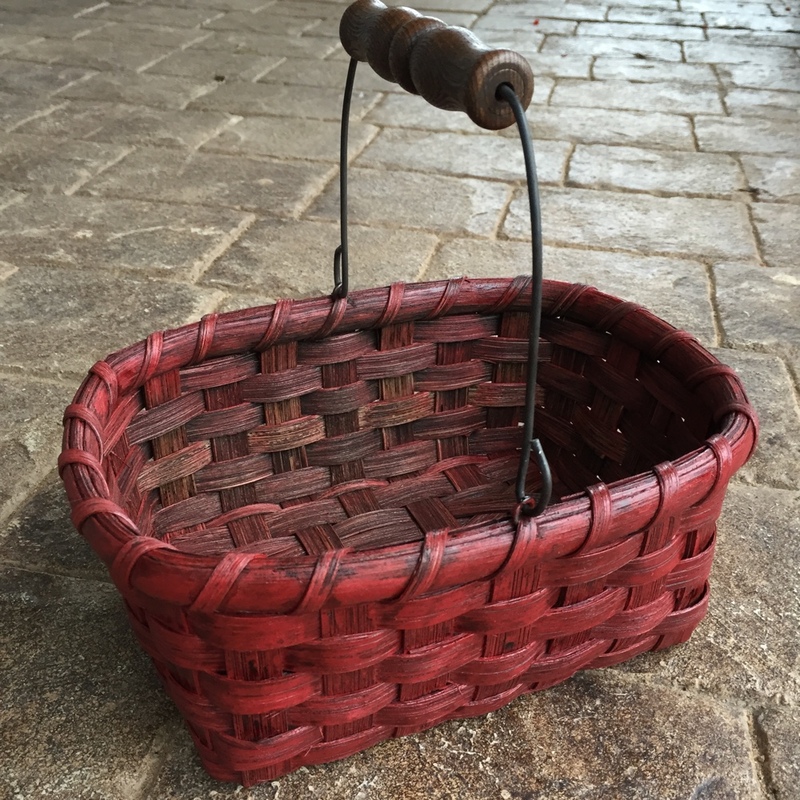 Similar in design to our Mantelpiece Basket, the Farm Table Basket measures 10” longer and is finished in a primitive/grungy technique. 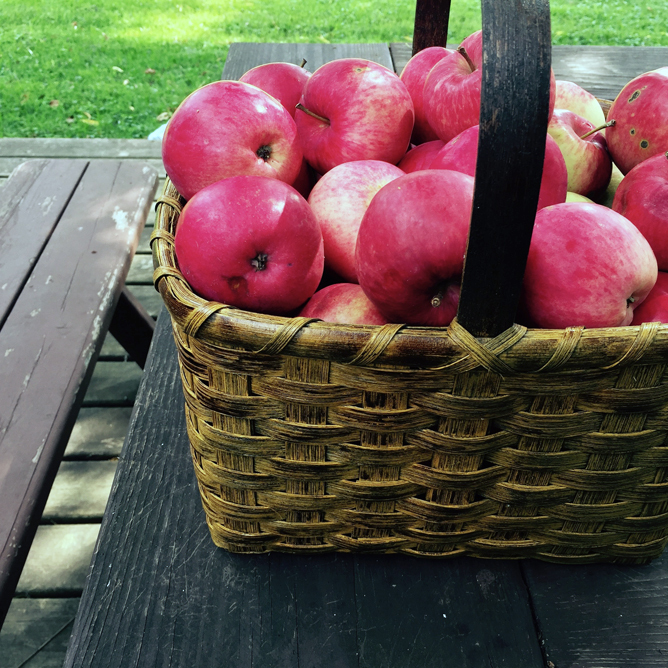 It’s the perfect basket to serve as a centerpiece on your rustic trestle table. 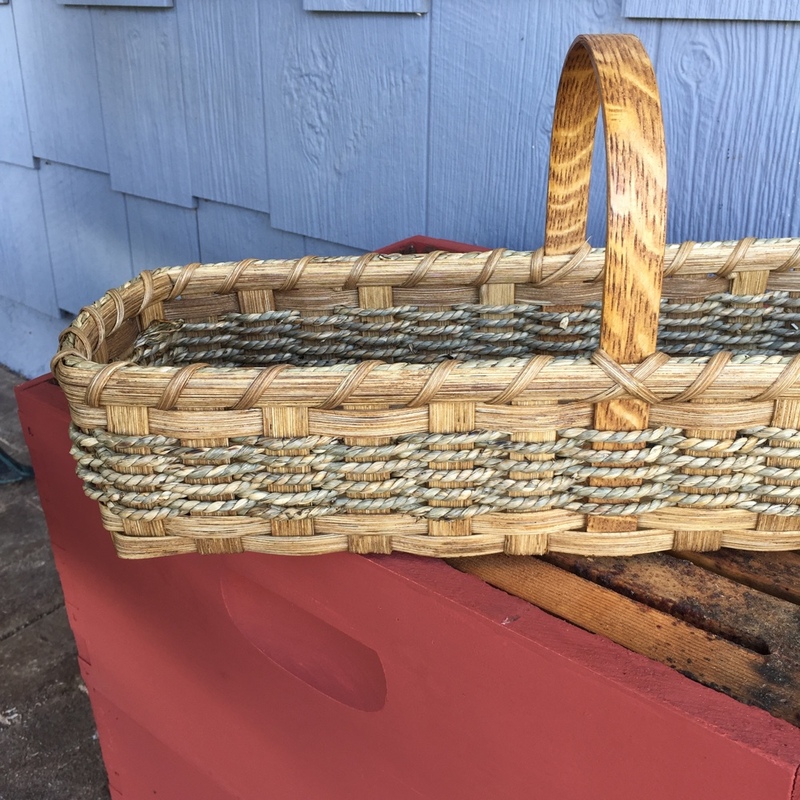 It’s always such a joy to receive photos from people who have ordered custom items ... we like seeing how they will be using their storage baskets. 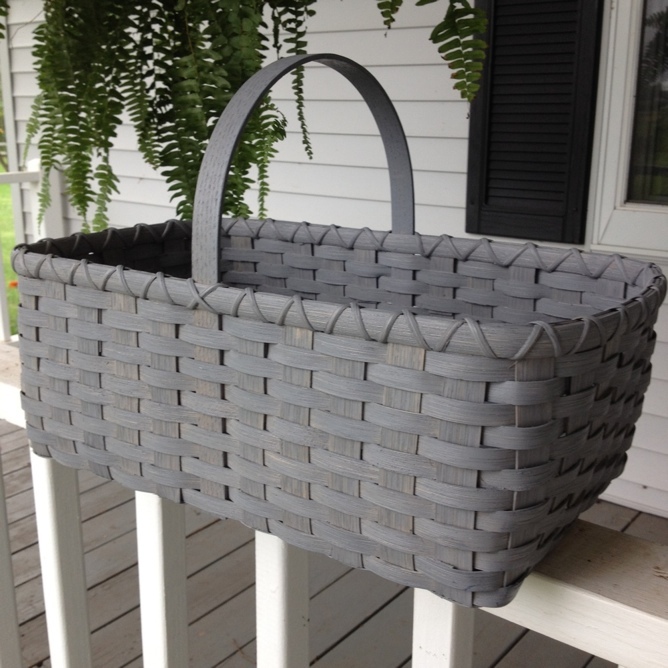 These lidded baskets were finished in slate gray and traveled to their home in New York City. 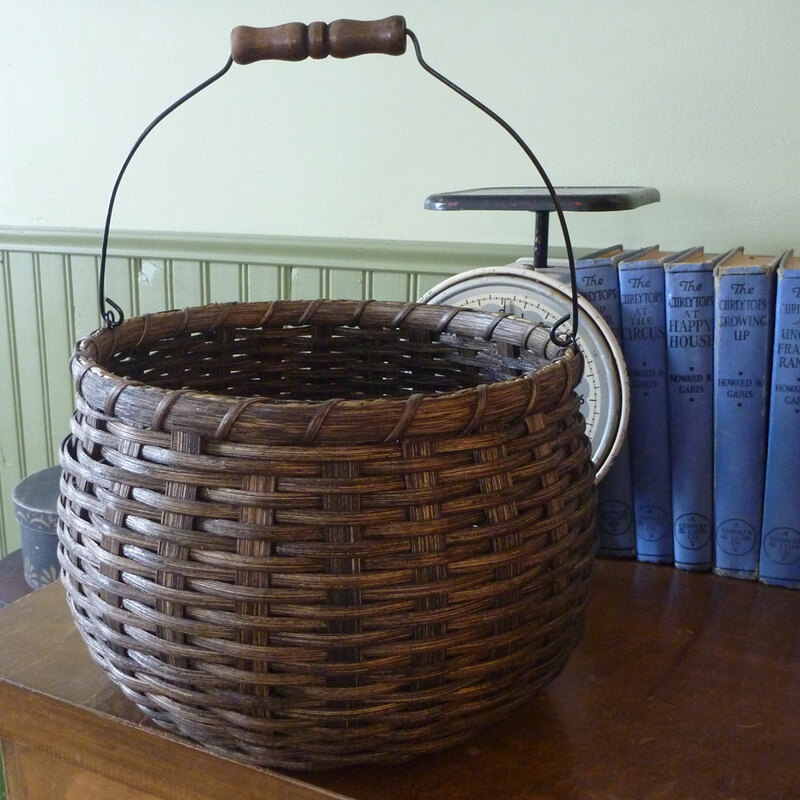 Although this basket was originally designed to hold and display a clutchful of antique teddy bears, the Bear Basket can be used in many other areas of the home - for skeins of yarn, rolled bath towels, hats and mittens, or even toys. 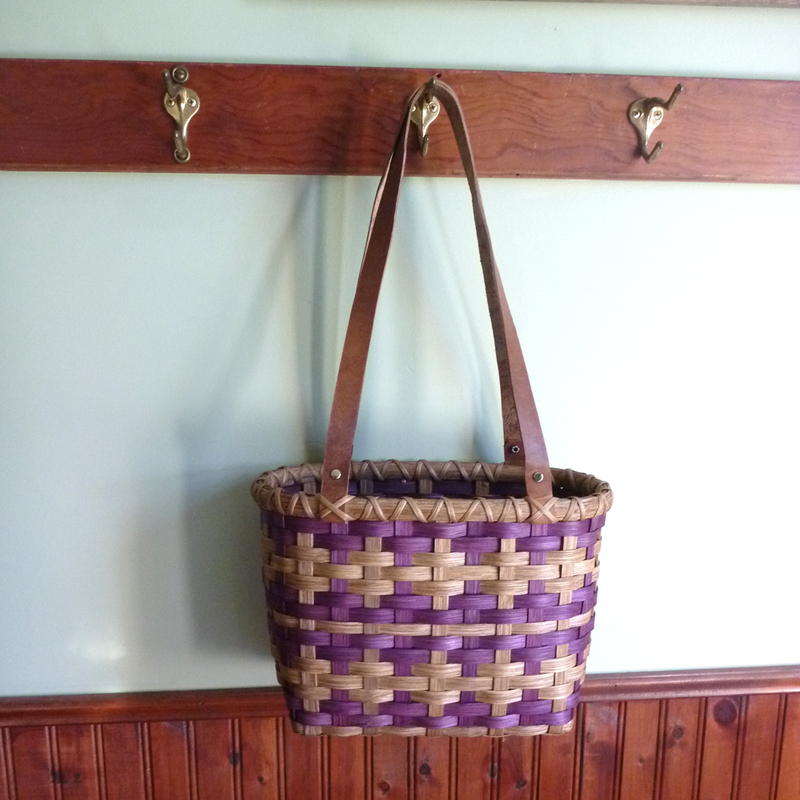 Susan from Minnesota joined us last month for a weaving class and made this beautiful Measuring Basket. 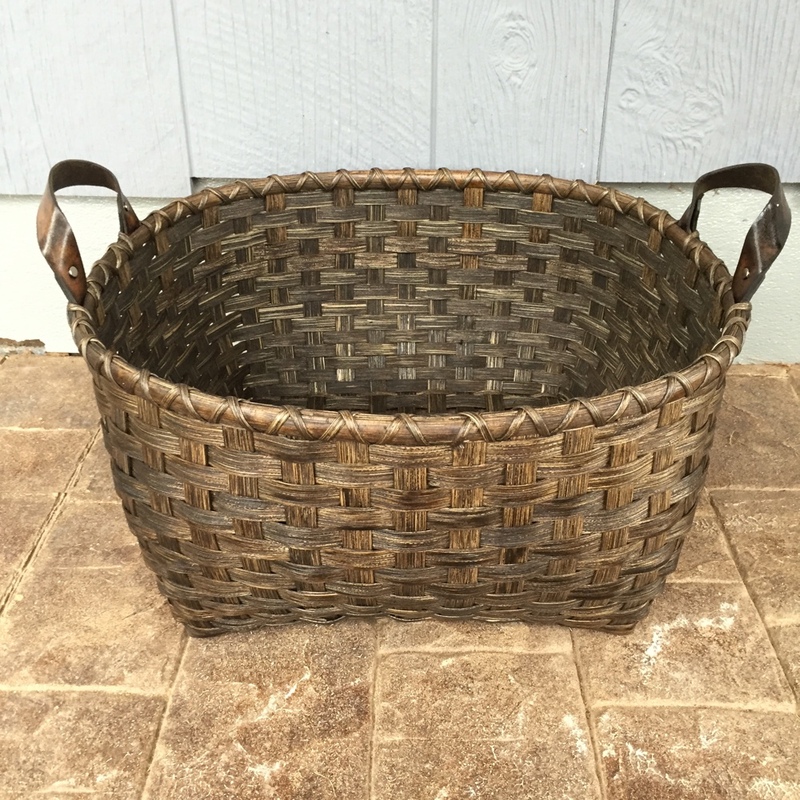 History tells us that in olden days baskets were used as standard units of measure … thus the design of our Measuring Basket. The 7” square base rounds to a 10” top with 7” sides. 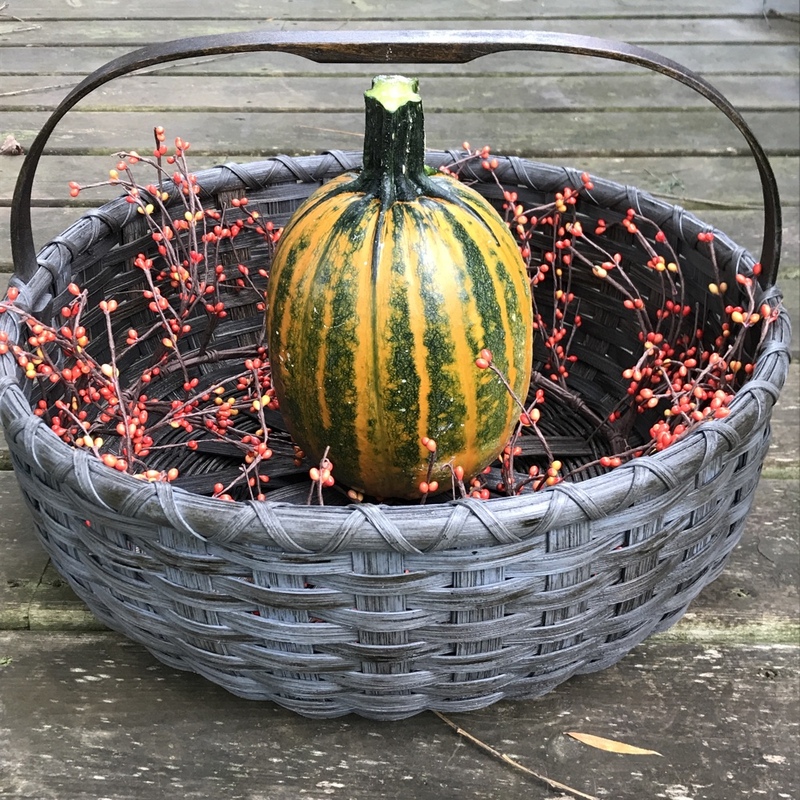 Woven to fit a standard quart canning jar, this cute basket will add primitive charm to your table while holding fresh cut flowers. 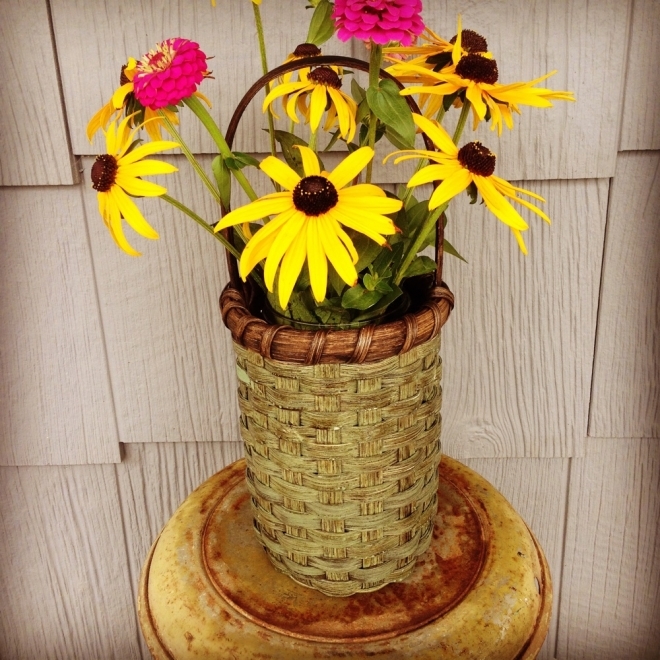 Our Country Flower Vase measures 4 1/2” round, 7” tall sides, 12” overall height with handle. As winter approaches, we now are in the process of trying to locate all of the necessary mittens, hats and scarves. 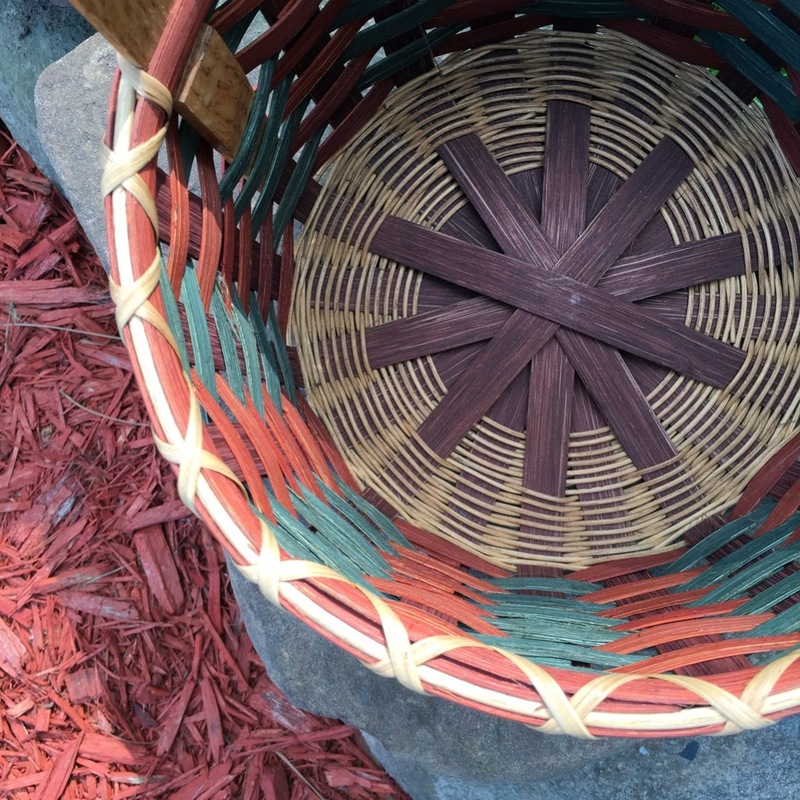 Why not use a Mitten Basket? It measures 13” round and 10” tall, and is the “stylish” means of containing those winter accessories. Cookies, cookies, cookies—especially during the holiday season! Why not share your special sweet treats in a colorful Cookie Basket? And after the treats are gone, the Cookie Basket will remain a treasured gift in itself. 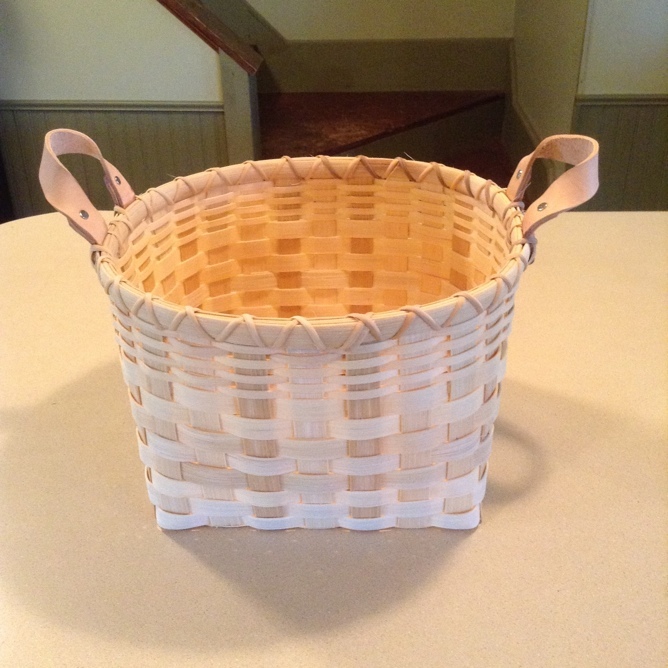 We have had the privilege of making various shapes and sizes of custom baskets. 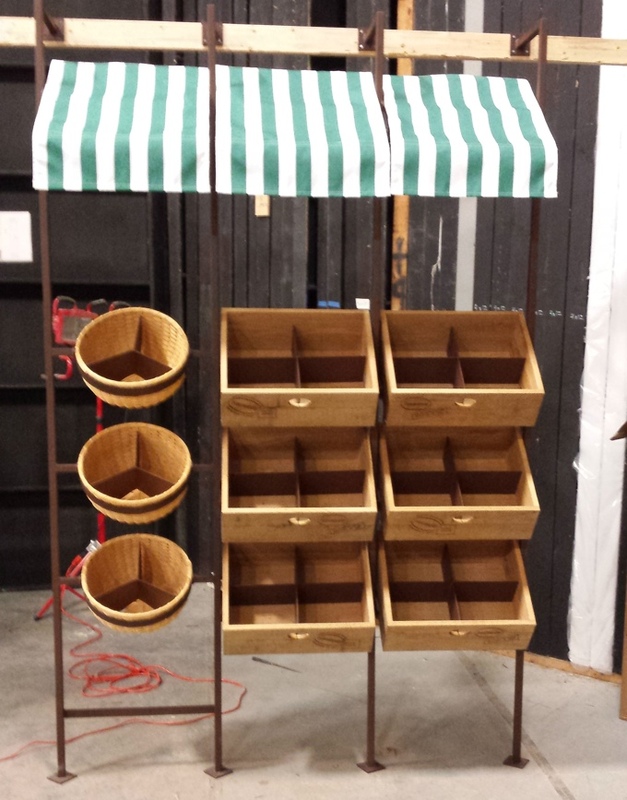 Here are three of the eighteen baskets (so far) that we have woven for display racks to be placed in two shopping malls. 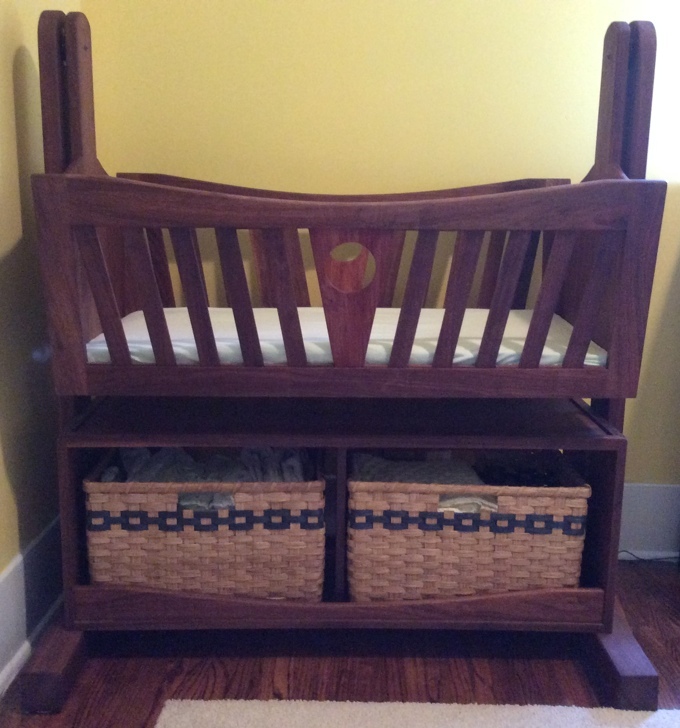 Last month we had the privilege of making two custom-sized baskets for the bottom shelf of this gorgeous cradle. 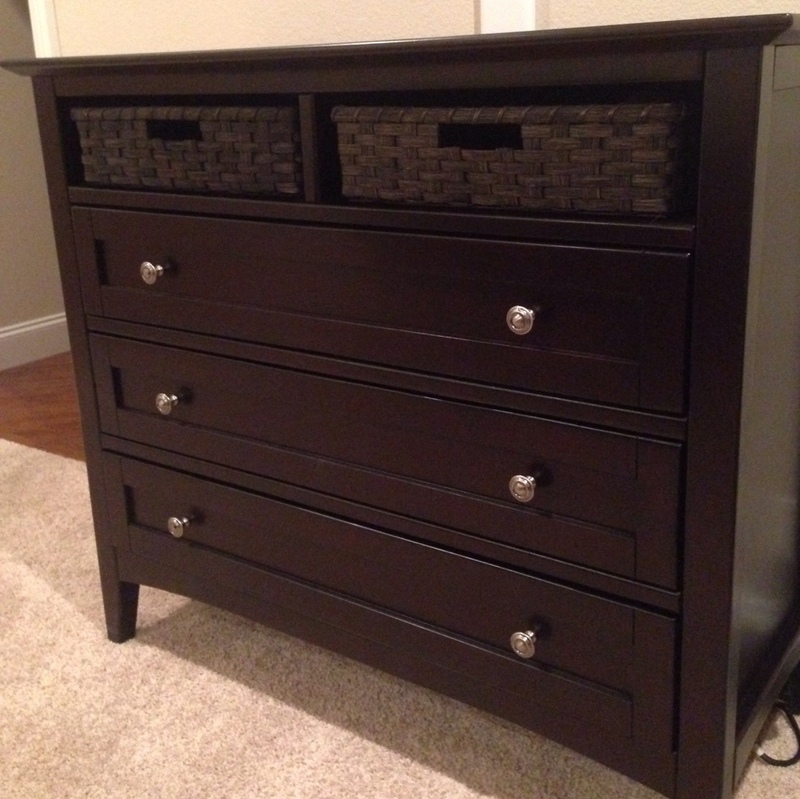 The customer said that her dad had made it two years ago in his woodshop for her first son. Now her second son will be born in November. 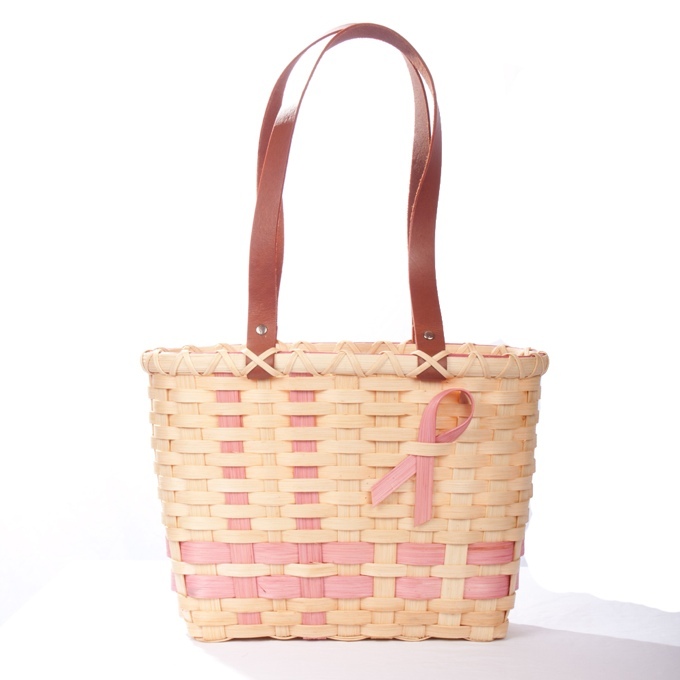 Our Breast Cancer Awareness Tote was designed to honor and support all of the women whose lives have been touched by breast cancer. Our prayers and best wishes go out to the families of these women. What a joy to receive notes like this one ... from a satisfied customer in Canada! 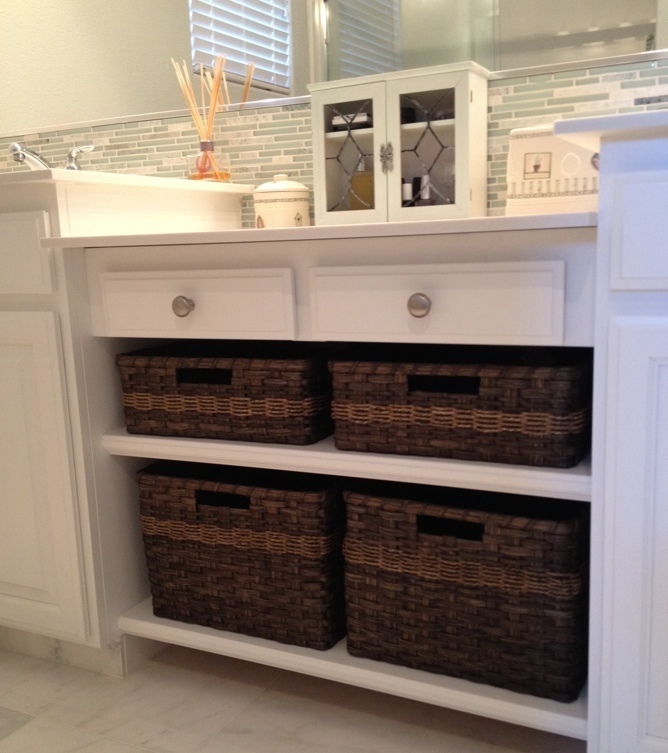 Check out Lisa’s newly remodeled bathroom ... complete with custom made baskets for the vanity. 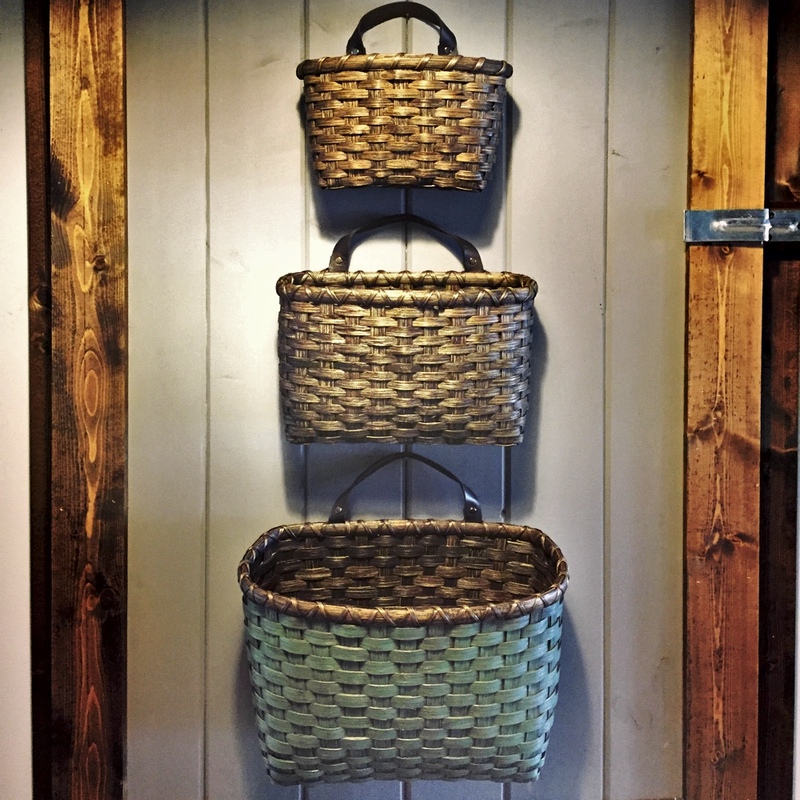 That beautiful cabinet makes the baskets look wonderful! 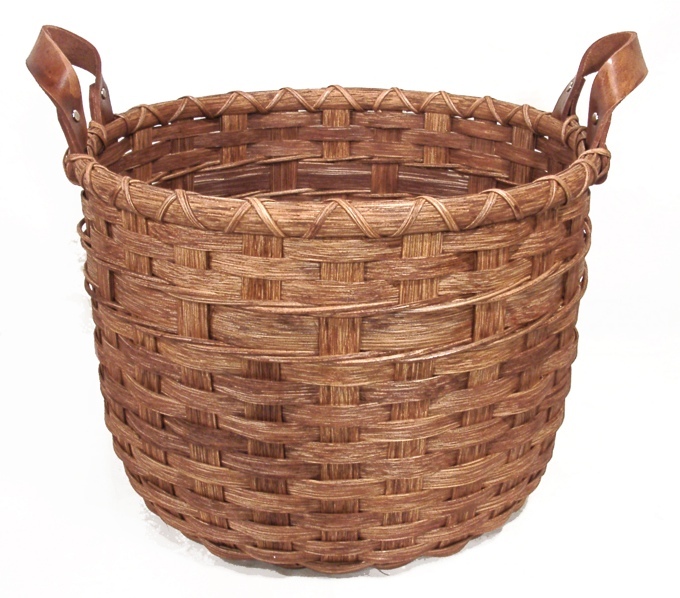 Nothing echos “primitive” more distinctly than a French Wall Basket. Any level of weaver will have fun with this project, so click on this link to purchase the pattern. 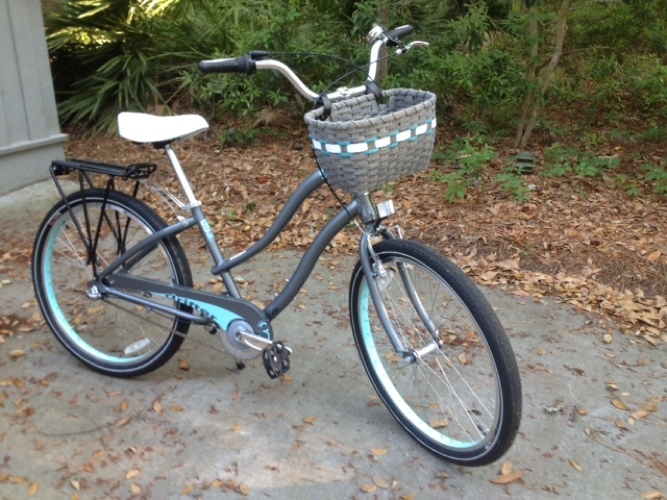 Here are a couple of pictures sent to us from a customer in Florida. 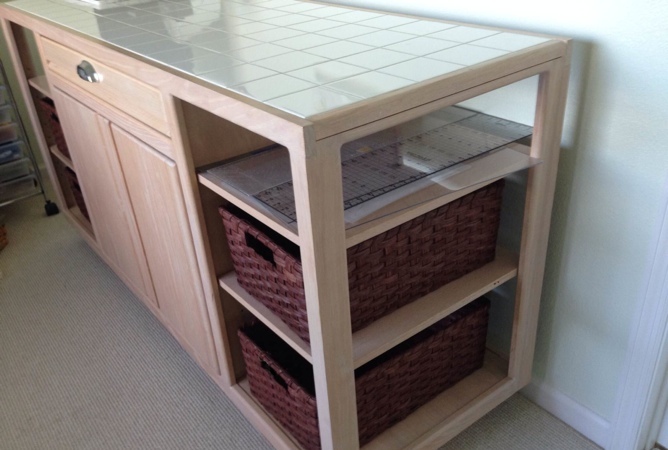 As an artist, she wanted four custom pieces to store art supplies in her work table. 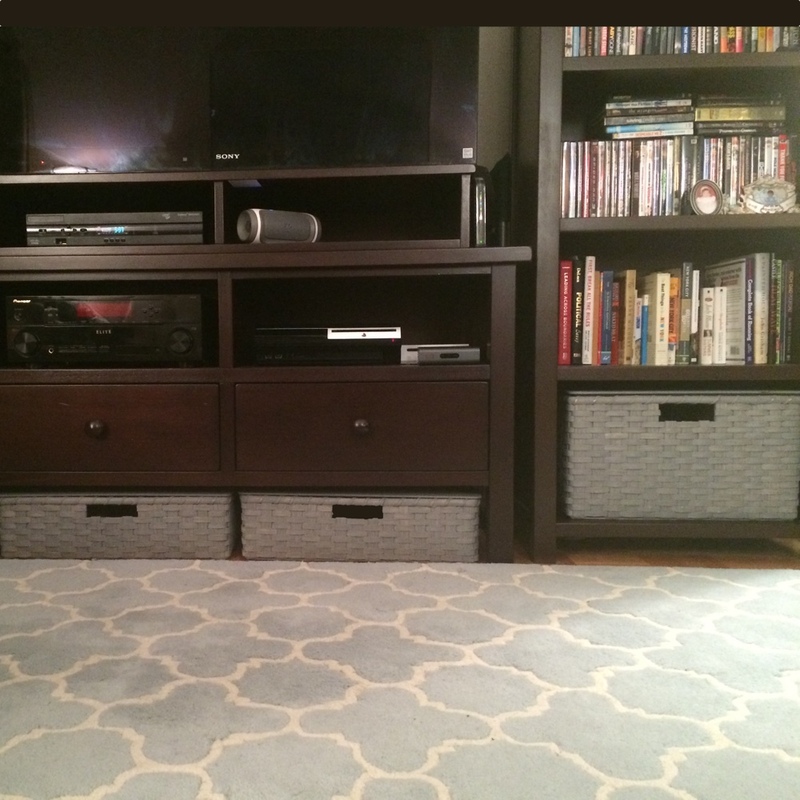 Thanks for sharing the finished result, Betsy! Thank you, Lisa! 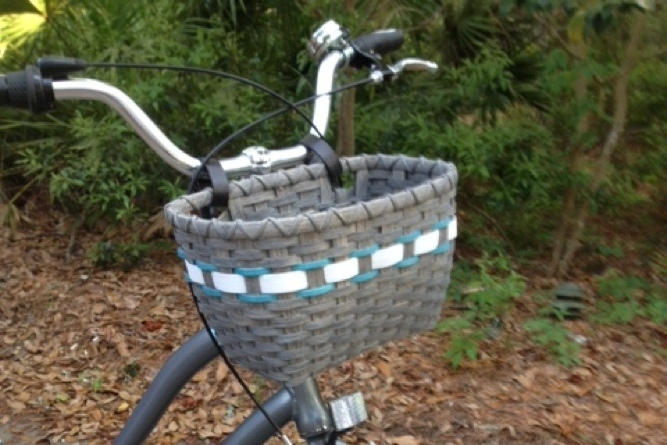 We always appreciate seeing where our baskets are used. Fair Isle is a traditional technique used to create patterns with multiple colors. It is named after Fair Isle, a tiny island in the north of Scotland … and very appropriate for the design in our primitive Easter basket! 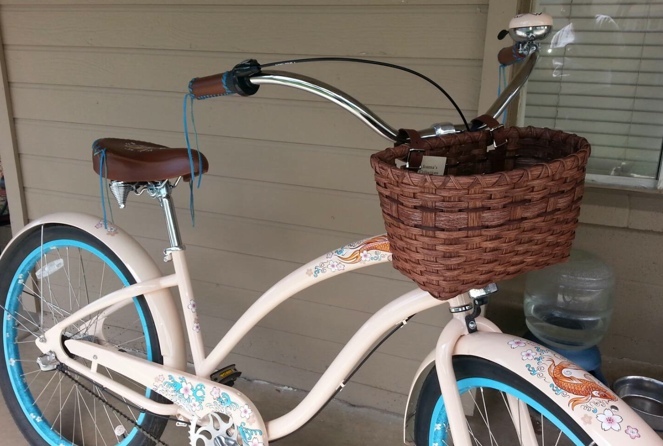 Our Bicycle Basket, finished in warm chestnut stain, perfectly accessorizes an already GORGEOUS Electra Cruiser … what a classy way to tour the streets of Gilbert, Arizona!